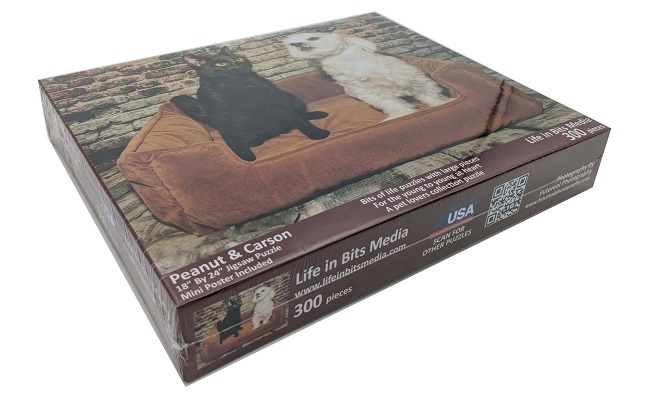 The two lovable pets featured make Peanut & Carson a great puzzle for any pet lover. The pieces are firm, finely cut and fit together well. 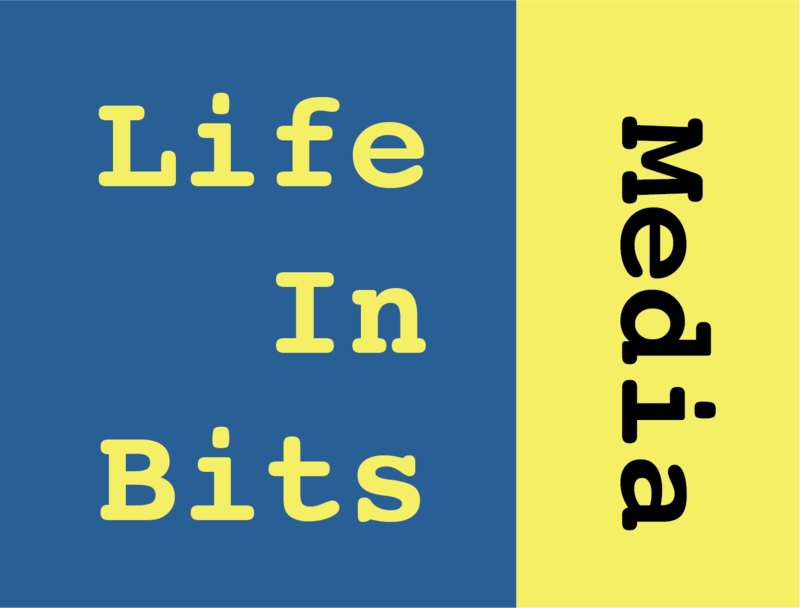 Studies have shown that puzzling is a great activity for preserving memory. Peanut (left) is a black, domestic Shorhair-Bombay cat who thinks he is a dog. Carson is a very active white, Maltese-Shitzu . Both are rescue animals. Each is owned by one of two pet loving brothers. 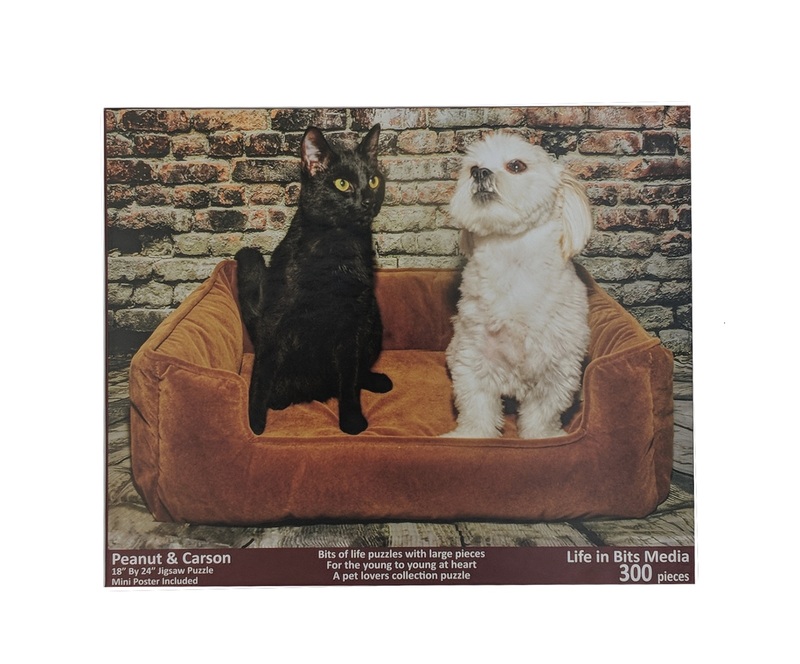 Peanut and Carson are so cute together! This puzzle is the perfect size to do on a card table, as you can manage all the pieces. Also, the puzzle pieces were easy to handle. A good value! The Peanut and Carson puzzle was fun to put together, and the two of them are truly adorable together! 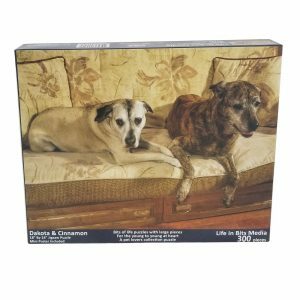 I highly recommend this puzzle to both puzzle lovers and people who love pics of furry friends! Also, I got my puzzle a few days after ordering!!! Quick shipping and delivery!